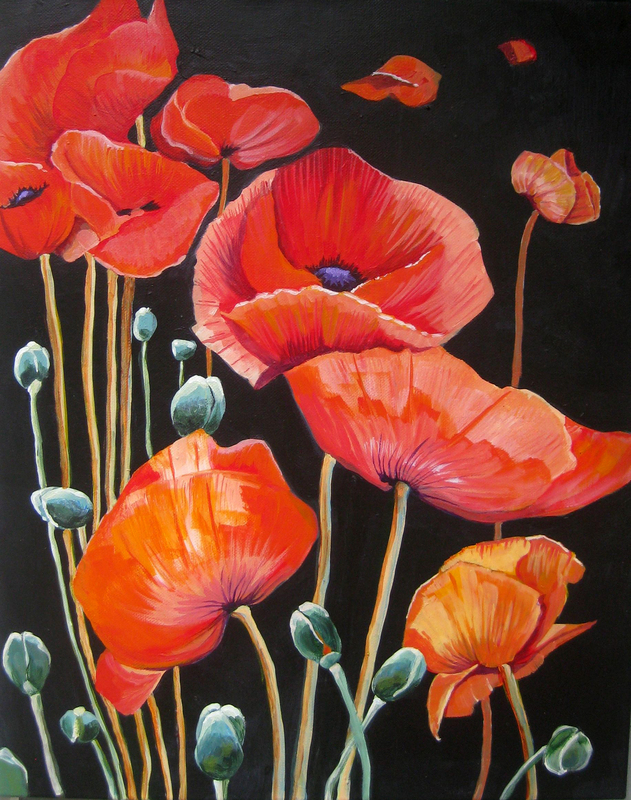 Home » Posts Tagged "poppies"
16 x 20 acrylic on canvas. I lost track of the number of hours I logged in on this one! I’m happy that it’s done now, or at least I reached a point where I was satisfied with it. Sometimes that’s a difficult point for an artist to reach. I’ve always enjoyed the spring when the poppies are blooming. The flowers look like delicate paper saucers flipping this way and that with the wind on their spindly stems. Not to mention the buds. Round firm green little packages with a poppy flower tucked inside. I saw these when I was out walking the dog though I wish they were in my own garden. I’ll have to plant some one of these days!